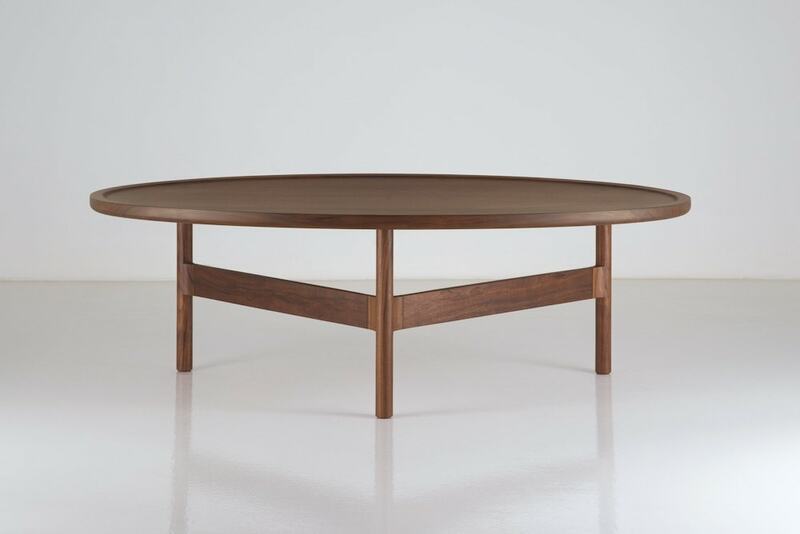 The Hartford Coffee Table carries all the markings of its companions in the award-winning Hartford Collection. Visible joinery is prominent in each piece, and the Hartford Coffee Table’s best example is the through tenons that rest flush with the tabletop. 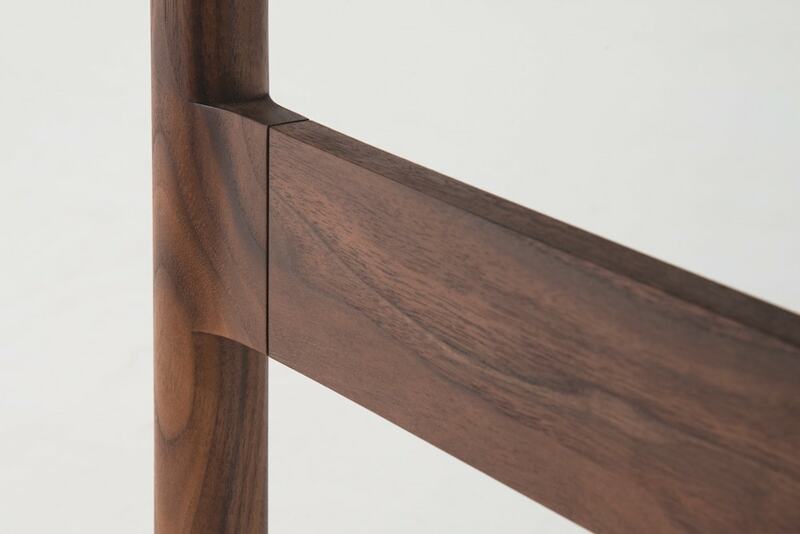 Distinguished from most other Moser pieces by the absence of a wedge in the tenon, which requires greater precision, this piece affords a more contemporary take on the traditional joint. The oval shaped top of the table sits on three legs, rather than the expected four, borrowing its simplicity from traditional Shaker designs, and its light, contemporary profile from Danish minimalism. 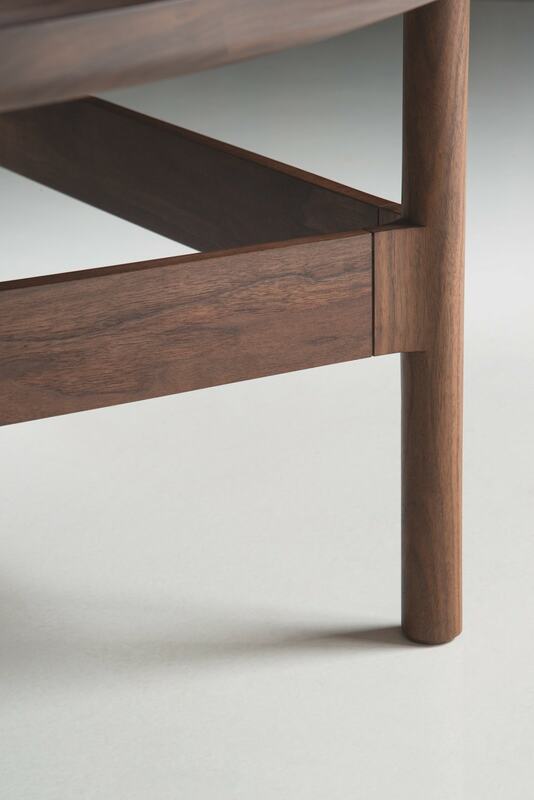 The through tenons in the Hartford Coffee Table are slightly larger than the opening they occupy. This consideration ensures a secure fit that compensates for variations in temperature and humidity. 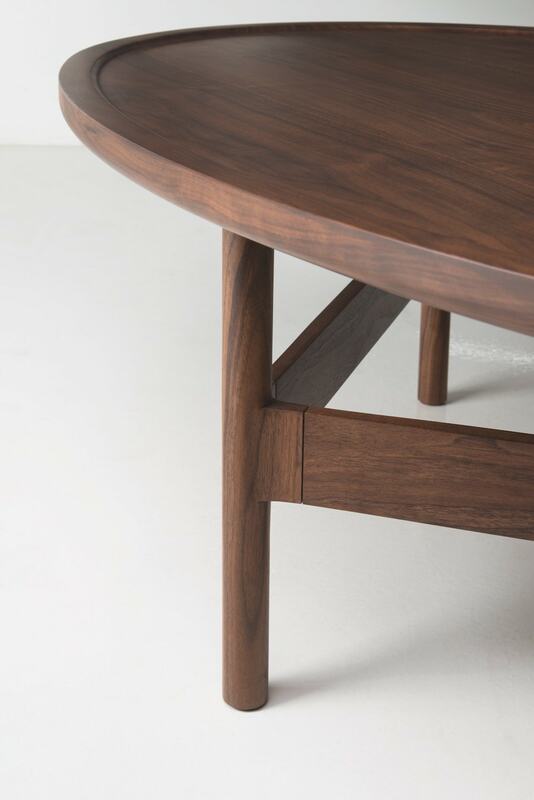 Atmospheric changes will not compromise the table’s durable structure. 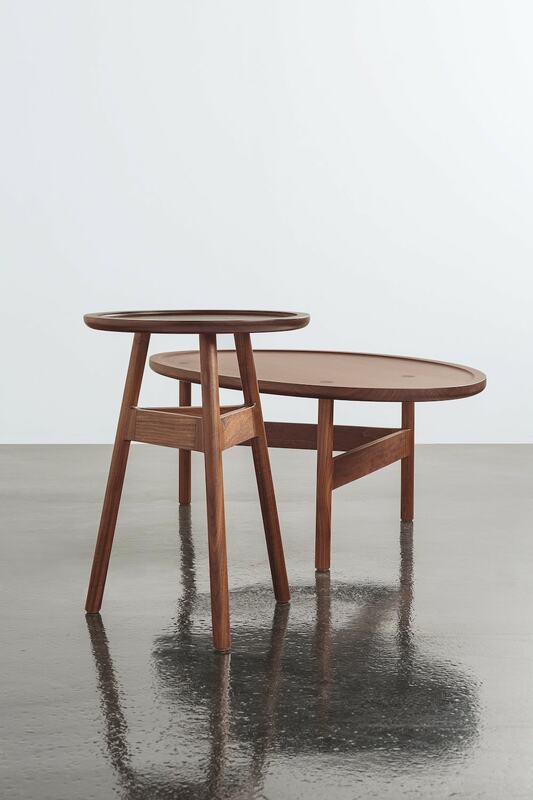 With three turned legs instead of the more common four, the table’s stability is augmented by a pair of stretchers, with visible finger joints that secure the legs. Its unique design makes the Hartford Coffee Table both stable and visually engaging. The Hartford Coffee Table integrates well with both contemporary and traditional living ensembles. While it fits naturally with other pieces in the Hartford Collection, the table works in any eclectic arrangement.